Figs are a unique Mediterranean fruit produced on a small drought-tolerant tree. In supermarkets, they are often available only as a dried fruit, but gardeners can easily produce delicious fresh figs for home consumption in the milder regions of the country. The trees available at retail nurseries are self-fertile, so it is only necessary to plant one tree. Most varieties will not survive temperatures below 10 degrees, though they can be kept small enough to be grown in containers and brought indoors in cold winter climates. There are a wide variety of fig cultivators, ranging in color from brown, purple, and black to green and yellow. They can be the size of a small pear, though the varieties with smaller fruit usually have the best flavor. Figs perform best in conditions that are similar to the rocky Mediterranean cliffs where they grow in their native habitat. They are surprisingly resistant to deer, though gophers and ground squirrels, if they are present, will attack the tree from underground. Figs are never grown from seed, but can be grown from cuttings. Because figs produce best in dry, infertile locations, it is not necessary to give them the best spot in the garden. It is more important that the planting site provides good drainage. Adequate heat is necessary to ripen the fruit to perfection. Likewise, a warm microclimate can help prevent losses from freezing in cold climates. Therefore, planting against a south-facing wall or in the middle of concrete patio is a good idea. If planting in a container, use a half wine barrel planter or other pot of at least 20 gallons in size to provide adequate space for the roots to grow. 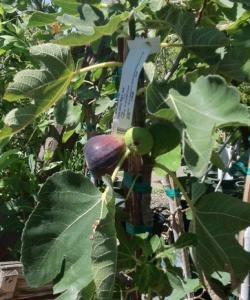 If they have the environmental conditions they need, figs are very easy to care for and will often thrive on neglect. Too much water or fertilizer can result in excessive vegetative growth and less fruit. Figs are very drought-tolerant, but they do need water to get established. Water deeply once per week in the first summer, every two weeks the second year, once per month in the third. After three seasons, the tree should be sufficiently established and won't need supplemental irrigation again, except in the most arid environments. Figs in containers need to be watered at least once per week on an on-going basis. Though figs do not need pruning to stimulate good fruit production, they can be pruned to maintain size and shape. For the purposes of keeping a fig from growing too large, it is best to cut it back in late summer or fall after the fruit is gone, but before it goes into dormancy. To control the shape of the tree, it is easiest (and best for the tree) to be pruned during the winter dormant period. In cold climates, a deep straw mulch over the roots can prevent them from freezing, even if the branches die to the ground. If plants are being grown in containers, bring them into a protected place after all the leaves have dropped, but before the temperature goes below 20 degrees. Figs often thrive and produce the best crops in locations where their roots are constricted. This tendency is what allows them to be successfully grown in containers. Consider planting around natural rock outcrops, between a garden wall and patio, or any other tight spot where they can take advantage of their ability to thrive in places where most fruit trees would fail. Many, but not all, fig varieties produce two crops per year. The first, called the breba crop, is borne on the previous year's wood. It ripens in early summer and is usually a lighter crop of slightly smaller and lower quality fruit. The main crop is produced on the current year's growth and ripens in late summer. Taste, climatic adaptability, and tree size are the most important criteria in varietal selection of figs. Some of the most cold hardy fig varieties are Celeste, Sal, Brown Turkey, Hardy Chicago, Marseilles, Dark Portuguese, LSU Gold, and Brooklyn White. Black Jack and Negronne are two naturally dwarf varieties. Black Mission figs are perhaps the most well known variety for their flavor, though they do not perform well outside of California. In the southeast, Brown Turkey is usually the easiest to grow, through not the most flavorful. Celeste is also easy to grow in the south and is considered more flavorful. Most commercial production is of Smyrna-type figs that do require pollination. The small wasps that pollinate these figs must be carefully introduced and controlled for effective pollination to occur, so they are generally not grown by home gardeners. Many retail garden centers offer fig trees in areas with mild winters where they can be grown outdoors year round. Spring is when they are most commonly available. If you can't find a local source, there is always the option of ordering one online and having it shipped. 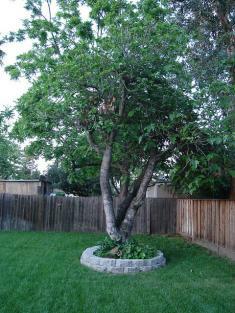 Below are a few options for nurseries that specialize in these trees. FigTrees.net is the online home of City Farm Florist and Nursery based in Roslindale, Massachusetts, where owner Joe Morle has been growing figs for 25 years. He specializes in gourmet Italian varieties that are hard to find elsewhere. Quart-size plants go for $20 plus shipping, while gallon-size are $35 plus shipping. Encanto Farms in southern California is another fig specialist, offering an unimaginably huge selection of varieties including many that are extremely rare. 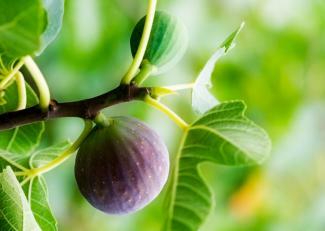 The website is a cornucopia of information for fig growers. 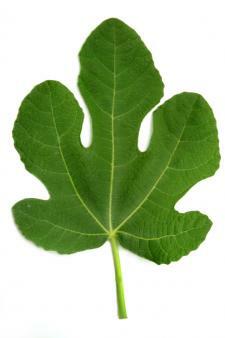 One gallon figs are $15 plus shipping and two gallon plants are $20 plus shipping. Raintree Nursery specializes in edible landscaping plants which it has been shipping from its home in the Pacific Northwest for over 30 years. They offer a large selection of figs with an average price of around $20 each for a one gallon pot, plus shipping. 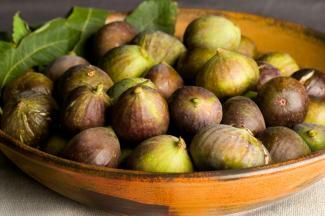 Besides their fruit, figs are a beautiful addition to the home landscape. With their unique foliage and light-colored back, they make an excellent specimen for an edible landscape.